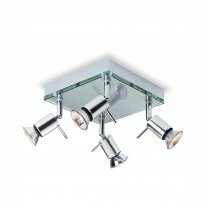 Firstlight presents the Country range of spotlight fittings. 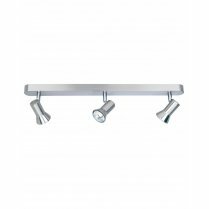 The range comprises a single spot which can be either wall or ceiling mounted, a three light cluster fitting and a three light bar fitting. 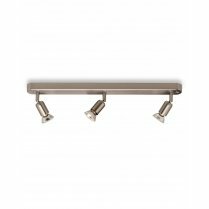 The Country is currently available in either polished copper or gloss cream finishes. 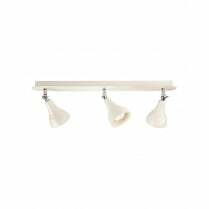 The 3466CR is a three light spotlight cluster fitting finished in gloss cream. 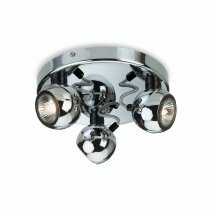 The fitting requires three GU10 bulbs with a maximum wattage of 50W per bulb(not included). 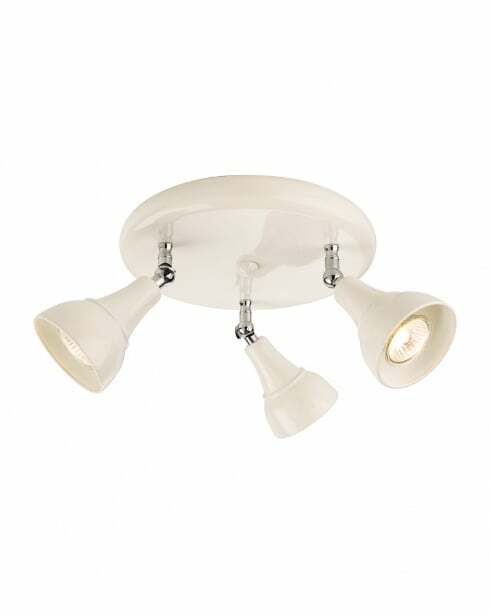 Alternative energy saving bulbs can be found in the accessories section of our website. 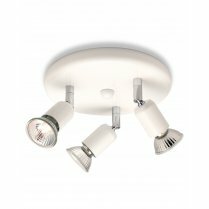 This fitting is dimmer compatible but care should be taken that any bulbs used are also dimmable in order to prevent damage to the bulb, fitting, or switch. The 3466CR has a diameter of 26cm and projects 17cm from the ceiling. Orders valued under £50.00 carries £4.95 delivery charge. Orders valued £50.00 and over are delivered free. All orders carry £6.99 delivery charge. All orders carry £9.99 delivery charge. All orders carry £14.99 delivery charge. * Delivery timescale of orders for Rest of the UK & Republic Of Ireland is approximately 4-5 working days. * *Delivery timescale of orders for EU countries(DE,FR,BE,NE,LUX) is approximately 5-7 working days. We want you to be completely satisfied with your purchase. Should you be unsatisfied with your purchase or it has not met your requirements, you have the option of returning it to us in its original new condition for refund or exchange within 30 days of the order date. Please refer to our Delivery & Returns policy for full details.